Our lemon poppy seed cake is a delicious dessert perfect for the spring and summer season. The combination of the light and airy poppy seed cake paired with rich lemon curd creates a wonderfully balanced treat. 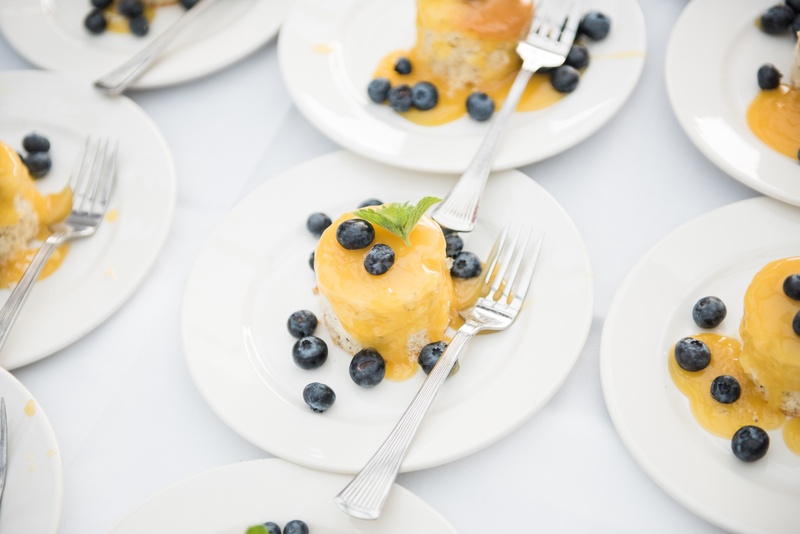 This dessert originated from one of our local farm to table dinners and was such a big hit we decided to make it a staple recipe for the summer. Now you can enjoy this recipe at home! 1. Whisk eggs, sugar, and lemon juice in a double boiler over simmering water until mixed well, then continue to stir until thick, about 7 to 10 minutes. 2. Drain mixture through a mesh sieve to get rid of lumps. Fold in butter until well incorporated. Mix in lemon zest. 3. Cover curd and chill in the refrigerator until it has thickened, about 4 hours. 1. Preheat oven to 350 degrees F. Grease and flour a 10 inch cake pan. 2. In a large bowl, mix flour, baking soda, salt and sugar. Make a well in the center and add eggs, vanilla, oil and milk. Mix well. Then fold in the poppy seeds. Pour mixture into a 10 inch cake pan. 3. Bake at 350 degrees F (175 degrees C) for 1 hour, or until a toothpick inserted into the cake comes out clean. 4. Cool for 10 minutes in the pan, then turn out onto a wire rack and cool completely. 5. Pour lemon curd over cooled cake and top with berries and whipped cream. Enjoy! Preheat oven at 350 degrees. Line an 8” spring form pan with parchment paper. On the outside of the cake pan wrap with foil up to the sides of the pan on the outside (this will prevent water from getting into the pan when baking the cheesecake mixture). Mix the graham cracker crumbs with the sugar and melted butter. Pour into an 8” spring form pan. Press the crumbs down into the bottom of the pan and the sides of the pan, you can use a measuring cup or spoon to push down the crumbs even more. Bake at 350 degrees for 5 minutes. Cool for 5-10 minutes. Cream the cream cheese, pumpkin puree and sugar until smooth. Add the eggs one at a time, scraping the side of the bowl until all incorporated. Add the sour cream and vanilla and mix on low for 2 minutes. Pour the batter into the spring form on top of the crust. Make sure the batter is evenly distributed. Place the pan into a dish that can hold hot water 1” deep. Place dish with cheesecake into oven, pour hot water into pan once in the oven. Bake at 350 degrees for 25 minutes or until there is a slight wiggle but not wet. 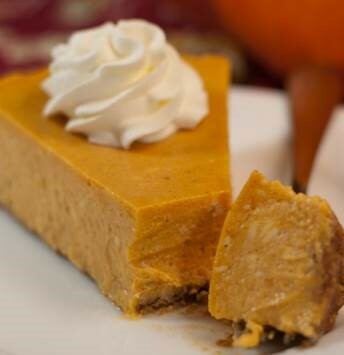 A wonderful and classic dessert than can be made days in advance of the big day. 1. Generously grease the inside of a decorative bundt / angel food cake style pan, especially the bottom. Dust the mold well with granulated sugar and shake out the excess. 2. Combine the cranberries and the 3 tbsps of sugar and set aside while mixing the remaining ingredients. 3. In a large mixing bowl, blend the butter, brown sugar, molasses and orange zest. Mix at low speed for 2 minutes to blend well. Add in the dry ingredients slowly then add in the buttermilk and blend until mixed. Lastly, fold in the pecans, cranberries and any liquid in the bowl. 4. Spoon in the entire mix into the baking pan, spread evenly and cover with aluminum foil if you do not have a cover. Place the pan into a larger pot with boiling water, to come half way up the pan. Place this hot water bath on a medium low heat for 1 and ½ hours until the cake pulls away from the side of the pan and a knife inserted comes out clean of any batter. 4. Remove the cake from the water bath to cool for 15 minutes, then turn upside down onto a wire rack. * This cake can be served or cooked a day or two in advance and kept wrapped in the refrigerator until service or ideally, gently warmed in a 275 degree oven until warm, before serving. As I await the assignment of my own son’s Bar Mitzvah date, I am thinking of all of the planning that goes into the big event. Where to have the party? Kids or adults? Afternoon or evening? Who sits where? One of the most important questions for me, is what will the food be? That leads to a whole other list of questions. Who will cater? Buffet or plated? Small kiddush or elaborate dinner? As an Event Manager, I have planned -as well as attended as a guest - numerous Bar and Bat Mitzvahs. I find that choosing a menu for the kids can be more challenging than one would think. 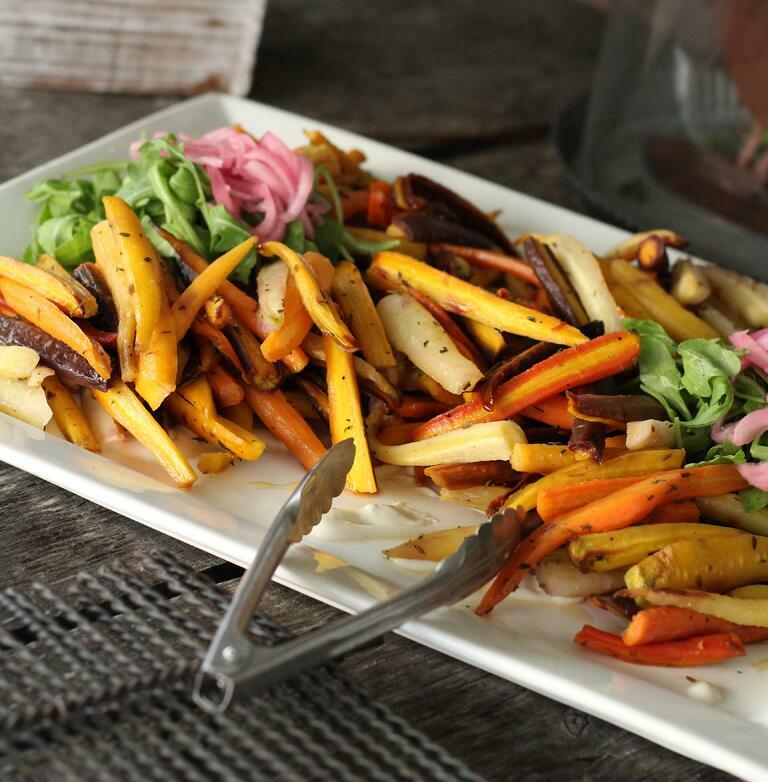 Gone are the days of chicken fingers and french fries. Kids today have much more adventurous palates. In addition, kids who go to Mitzvah after Mitzvah, weekend after weekend, grow tired of the same cuisine at every party. 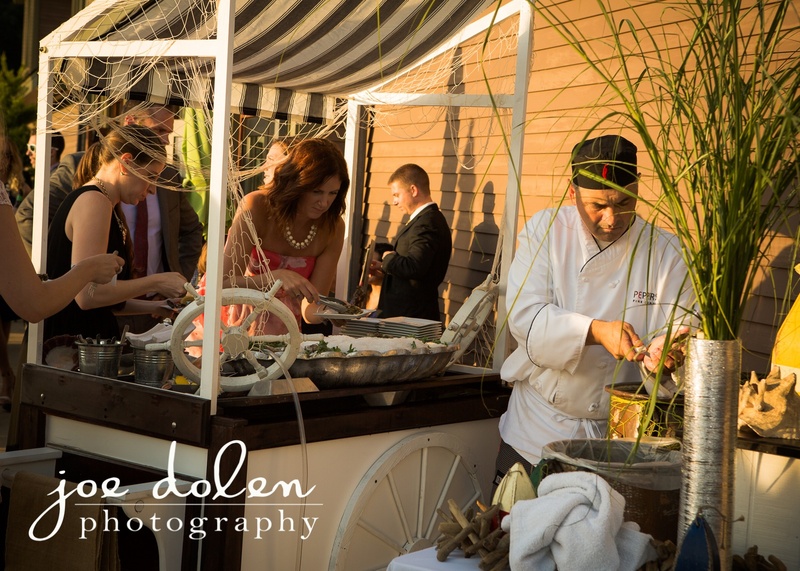 Food stations continue to be a popular trend. More focused than a buffet, a food station not only gives the kids an opportunity to create their own meal, but also offers a deeper dive into one particular type of cuisine. In addition, food can be eaten on the run, while dancing or during games. As we all know, kids don’t want to sit for long! 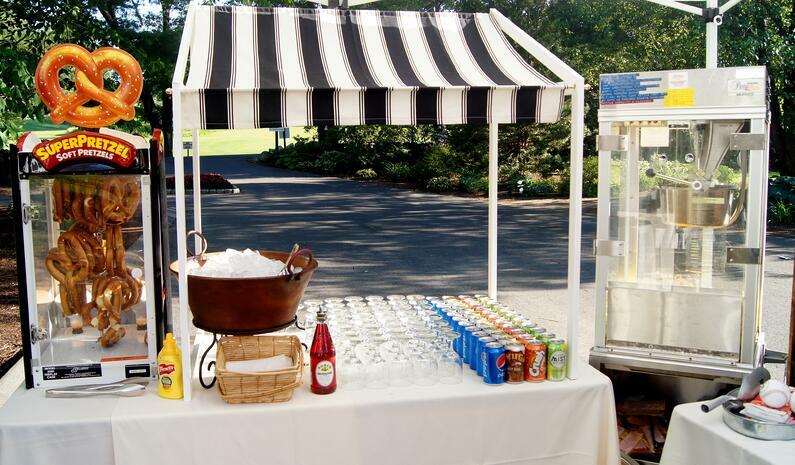 Here are a few of my favorite food stations. Burgers and Dogs: Beef and vegetarian sliders, hot dogs, chili, sliced and shredded cheeses, with all the fixins, paired with seasoned french fries or sweet potato fries. Mac and Cheese Bar: Creamy mac and cheese with a variety of add-ins like bacon, tomatoes, jalapenos and more. 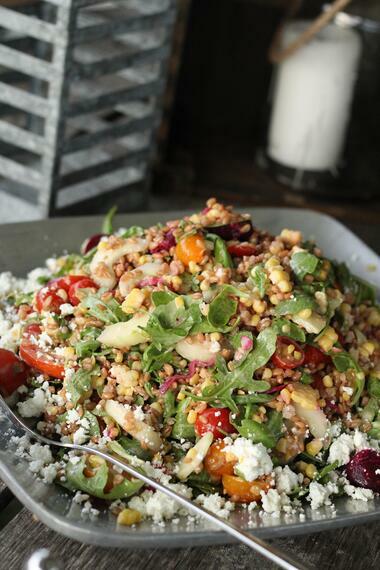 Salad Bar: Assorted mixed greens with a variety of toppings. For even more intrigue serve the salad in a martini glass! 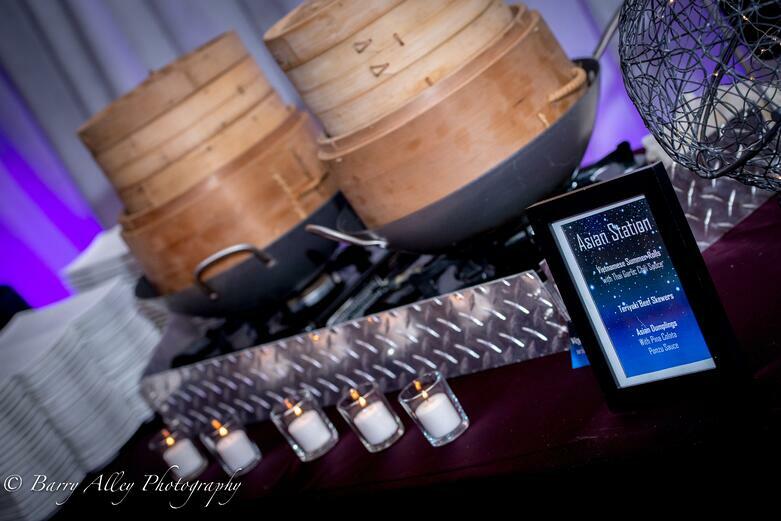 Asian Dumpling Station: Soba noodles paired with veggie and beef dumplings, shrimp shumai, and all the fixins. Serve in asian food containers and you have a great on the move food station. Grilled Cheese: Who doesn’t love a warm freshly grilled grilled cheese? Our chef active grilled cheese station is always a hit. Pair this with a warm soup for a perfect combination. You can turn eating into an activity for kids. Know a sushi chef? Have a make-your-own sushi bar with lessons on rolling your own. Tired of ordinary cakes? 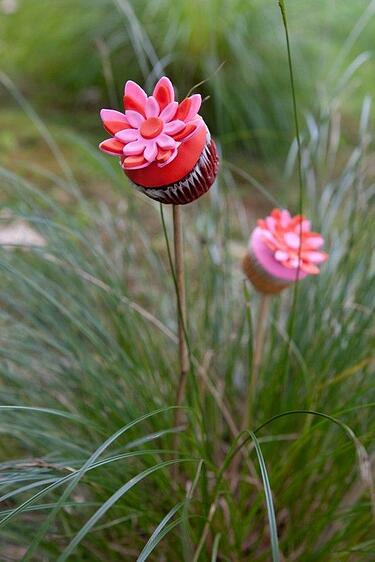 How about a cupcake decorating station for dessert? Of course, this is only the beginning! Any of these suggestions can be rearranged or substituted to suit your or your child’s tastes. Let these ideas be a springboard for your own creative ideas! 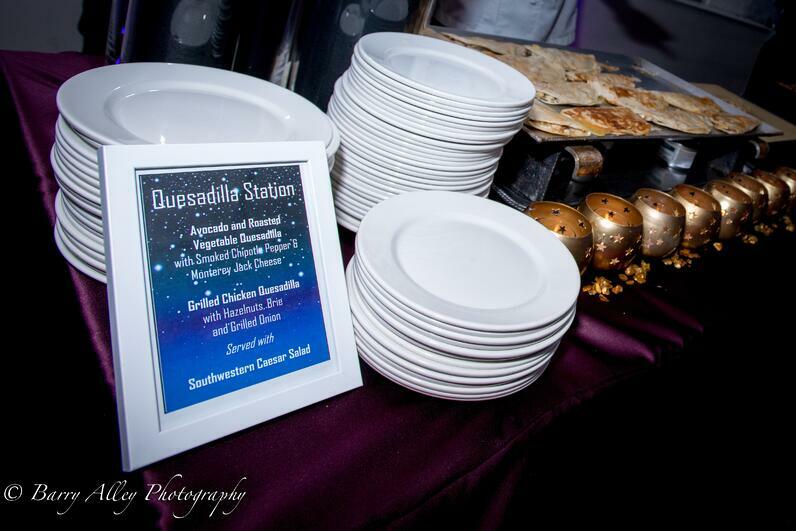 Contact us today to begin planning your bar or bat mitzvah menu. For more inspiration follow our Pinterest page. 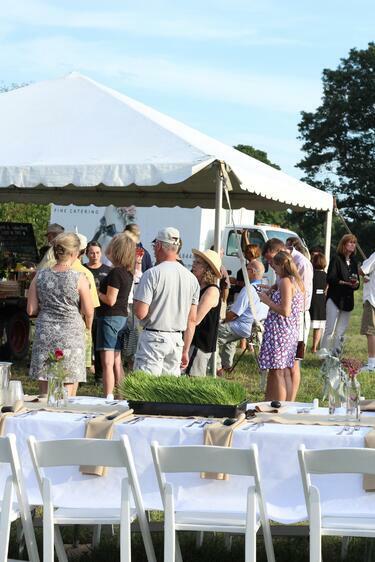 Another year and another successful farm to table dinner at Indian Head Farm. 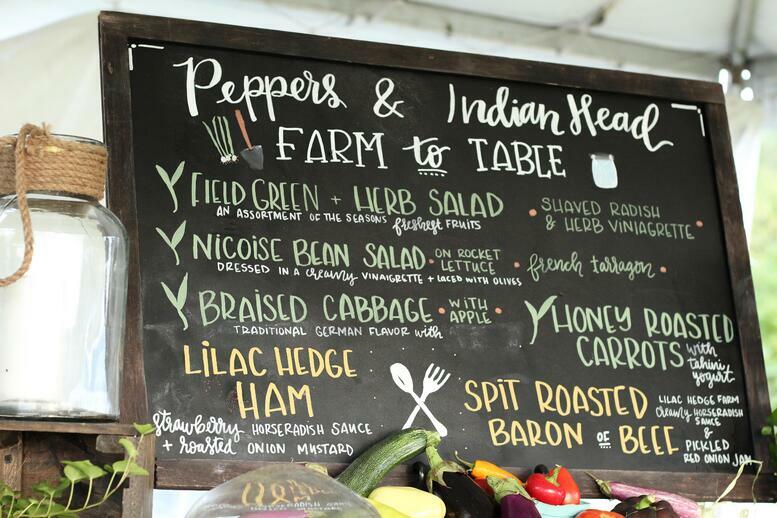 We are fortunate to collaborate year after year with Lilac Hedge, Indian Head and Crystal Brook Farm to offer a delicious dinner featuring great local products. Over the course of two days we fed more than 140 guests an array of passed appetizers, local beer, and a three course dinner. Music for the event was provided by The Brother Rule Band and The 19 Carter Band. 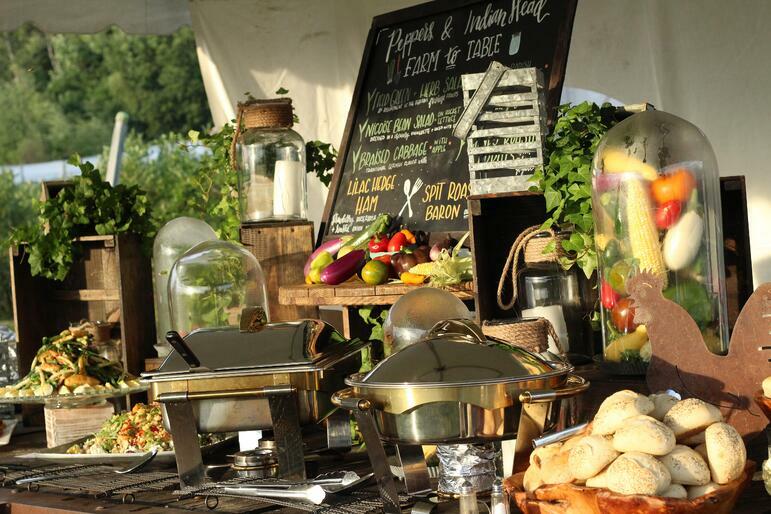 We are proud to be a Certified Green Caterer by the Green Restaurant Association. 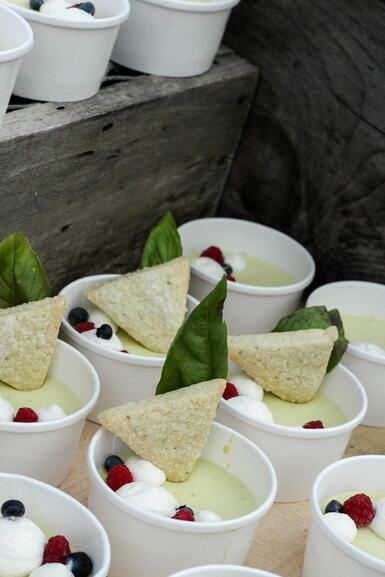 Click here to learn more about our green catering program. Dinner has been served and the dancing has started but the food service doesn't need to come to an end just yet. 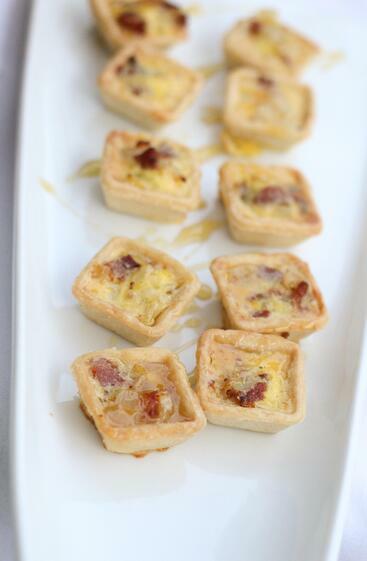 Keep your guests energized and the party going with delicious late night sweet or savory snacks. 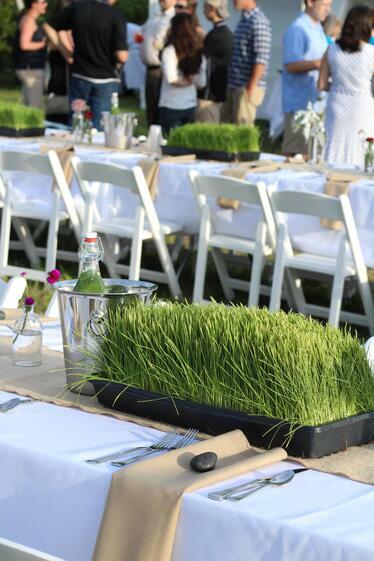 Servers can pass on fun trays through the dancefloor as a nice surprise and quick pick me up for your guests. Here are a few of our favorite late night passed snacks that are sure to be a hit! 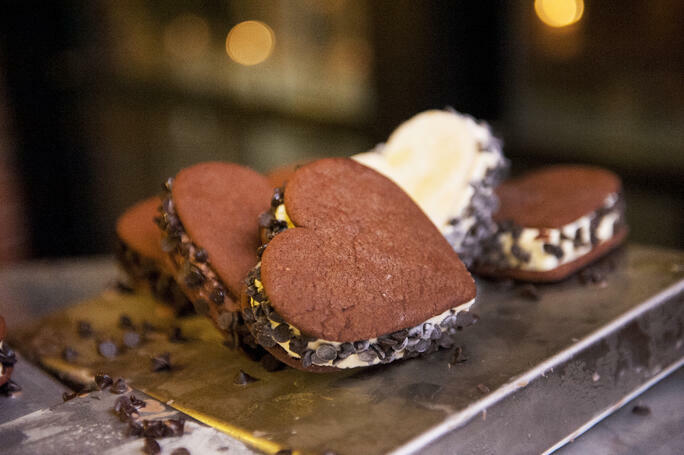 Homemade Ice Cream Sandwiches are perfect for your summer wedding. Mix and match your favorite cookie and ice cream flavors for fun combinations your guests will enjoy. Mini Filled Cones are a great quick two bite passed sweet. They can be filled with mousse, ice cream, sorbet and more! Cookies and Milk Shooters are one of those all-time favorite comfort foods. Serve mini cookies with a shot glass of milk for a delicious sweet to end the night. Dessert Pops - Think cupcake pops, cake pops, pie pops - the options are endless. Dessert Pops are easy to grab - plus they are so adorable and fun! Late night passed snacks don't need to be sugary and sweet. If you tend to lean towards savory and salty we've got you covered. 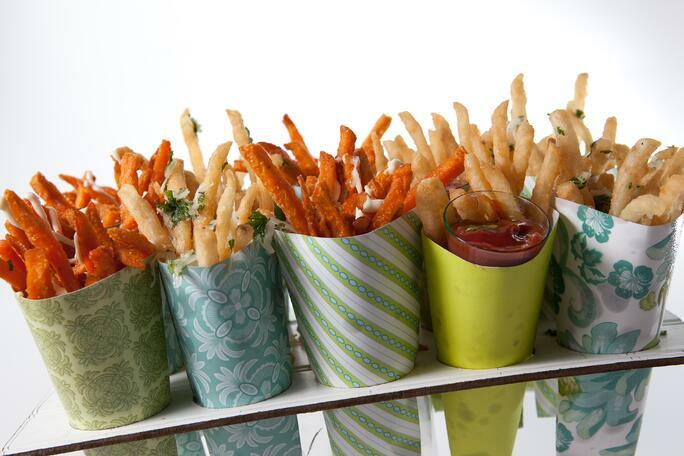 French Fries or Chips- Pass these salty snacks in paper cones that match the theme and look of your wedding or event. 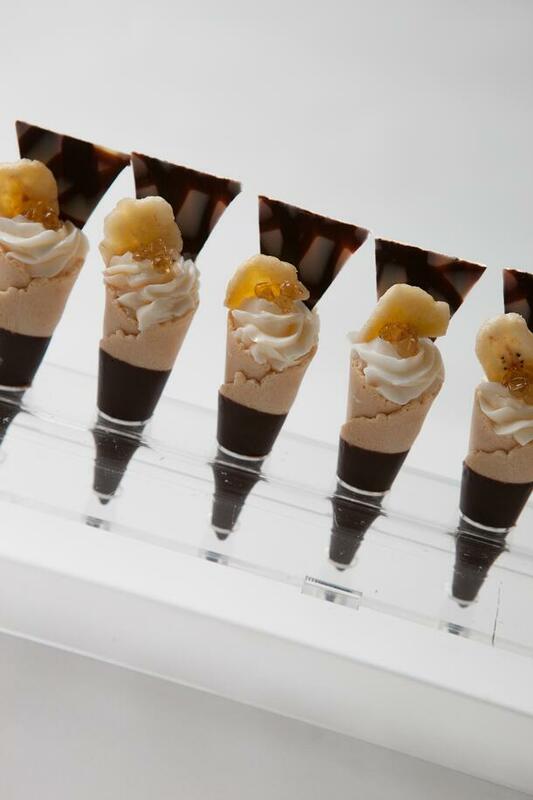 Guests can easily handle the cones while busting a move on the dance floor. 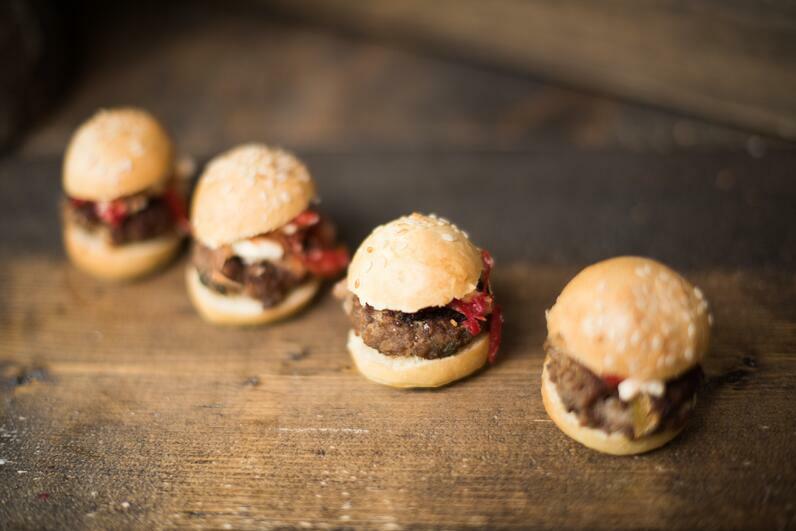 Mini Sliders- Looking for a heartier late night snack then these sliders will be the perfect pair for you. Sugared Bacon Planks- Bacon is delicious any time of day! 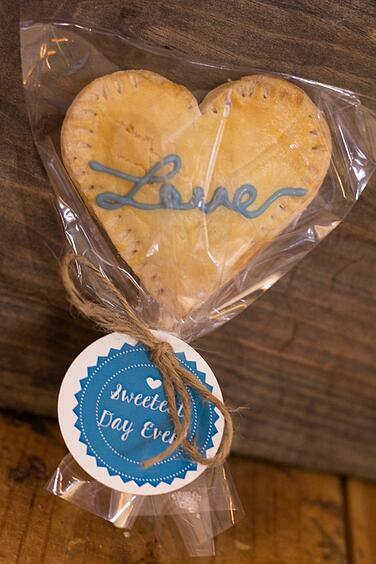 They can be a wonderful mix of savory and sweet when dusted with our whiskey sugar blend. Popcorn- A fun snack that can be easily passed in miniature bags. 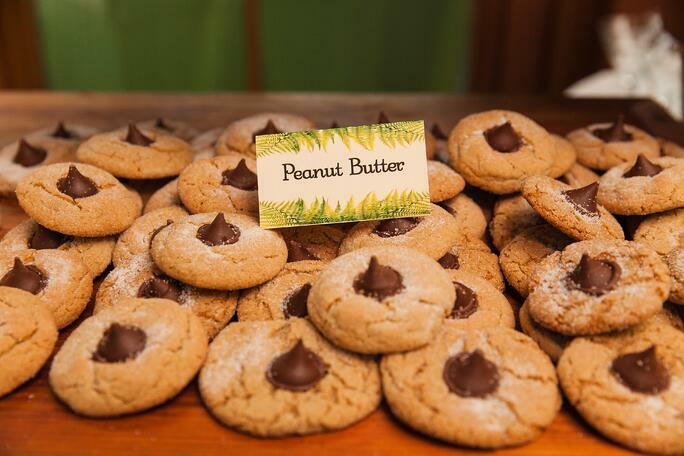 Flavors can go either salty or sweet or pass both to please all of your guest’s taste buds. We hope these inspire you to start thinking about the many late night snack options you can offer your guests. 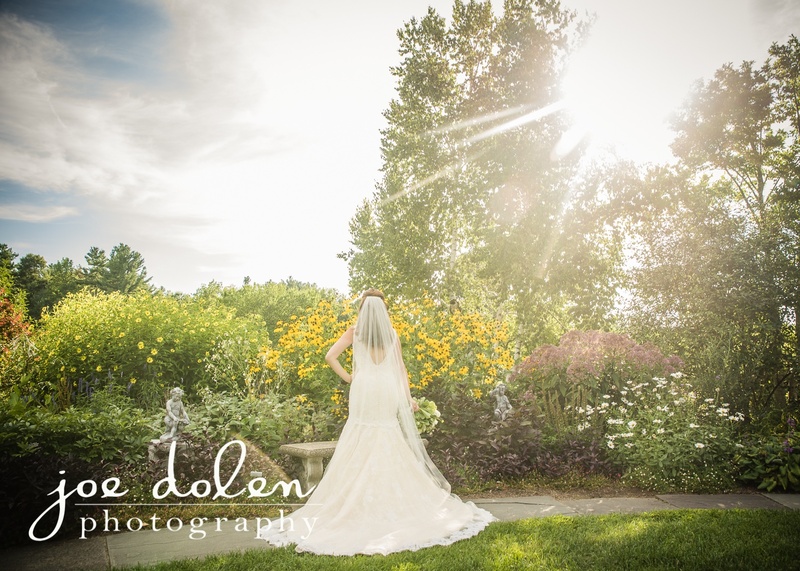 Thinking of attending a complementary group bridal tasting at Peppers? 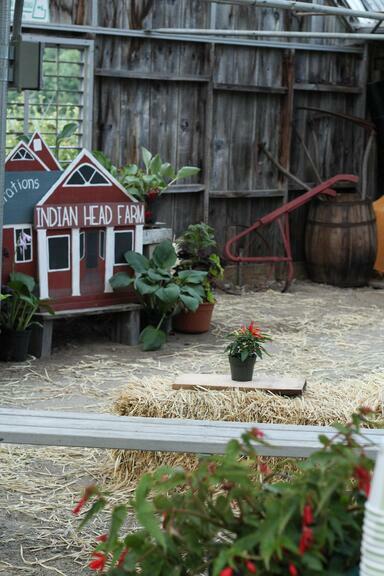 You’re one step closer to experiencing all that Peppers has to offer….and it’s not just exquisite food! While we're most-known for our fresh, flavorful and locally-sourced cuisine, we provide so much more than just a delicious meal. 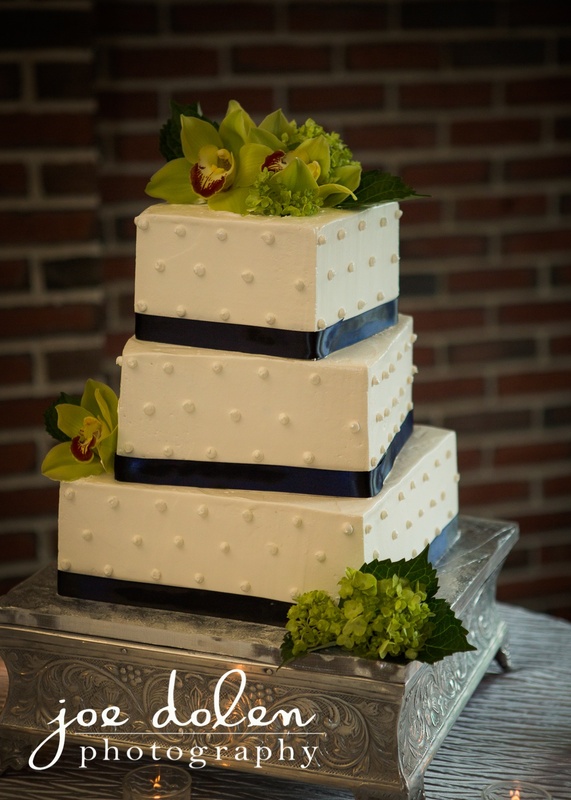 Consider us a “one stop shop” for all of your wedding needs, from cuisines to cakes, and drinks to decor. Let us bring your vision to life through other custom special details like edible favors, stationery ( invitations, menu cards, place cards, etc. ), florals, and more. When you walk through the front door you will step into an experience. You’ll be greeted with a passed seasonal cocktail, escorted to your seat and then encouraged to look around- and there’s a lot to look at! 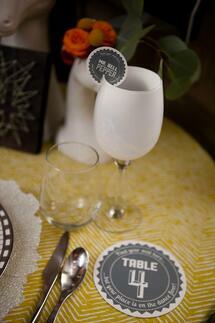 Our style and Design department will have expertly designed a few different tablescapes for you. 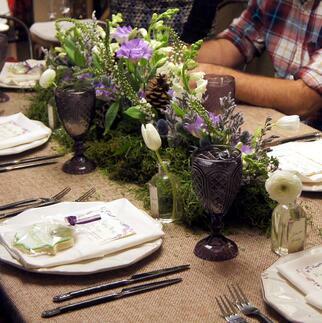 The tables are ever changing from rustic to industrial to glam and spring inspired. Even if they are not the specific look you want for your day- we hope they start the process of envisioning how you can change the look of your wedding with a unique tablescape. You will be seated at a table with other excited couples. At each table there will be placecards, a menu, and table numbers that have been specially designed to show you examples of what we can custom create for you. 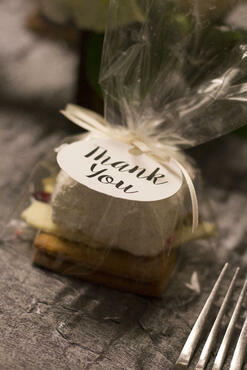 As a thank you for coming, there is an edible favor adorning each place setting, which we welcome you to enjoy or save for later! 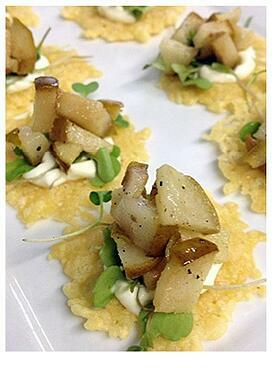 Tastings include a variety of our most popular hors d’oeuvres followed by a sample of some of our favorite entrees. Typically a beef duo plate, fish and chicken dish and vegetarian selections are served- each featuring a starch and vegetable that pairs nicely with that particular course. 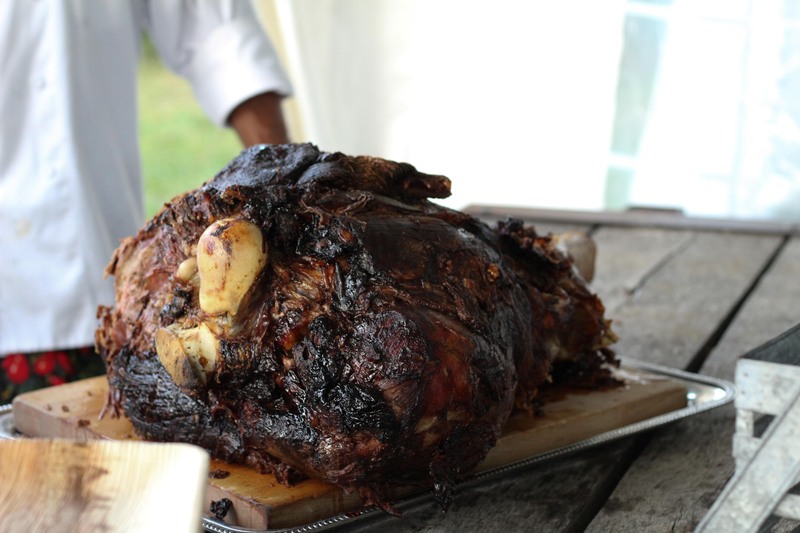 Our chefs will circulate the room, explaining what you are enjoying and answering any questions that you may have. We welcome you to take notes directly onto your custom menu for you to review following the tasting. Have a particular allergy? No problem! Let us know prior to the tasting and we will happily accommodate. Throughout the tasting, some of our Senior Event Designers, Event Managers and Waitstaff will be available to talk and answer question for you, as well. Following the main course, you will be invited to indulge in some delectable desserts and will receive a few slices of cake to take home and enjoy. Our goal at these tastings is to allow you to not only taste our food, but ignite all of the senses in one inclusive experience. We want you to leave feeling excited and inspired for your one of a kind day. Once you experience Peppers, you’ll see why we we’re so passionate about what we do and why you won’t regret having us cater your special occasion! With the 2015 holiday parties in our past and winter on its way out, its time to start thinking about a fun spring get together with friends! How about.....a Kentucky Derby Party!! 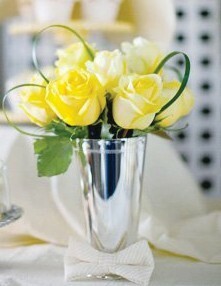 ?There’s no time like the present, so call up your friends, dial up the fun, and Run for the Roses! Encourage the women party-goers to wear big hats, and men bowties. 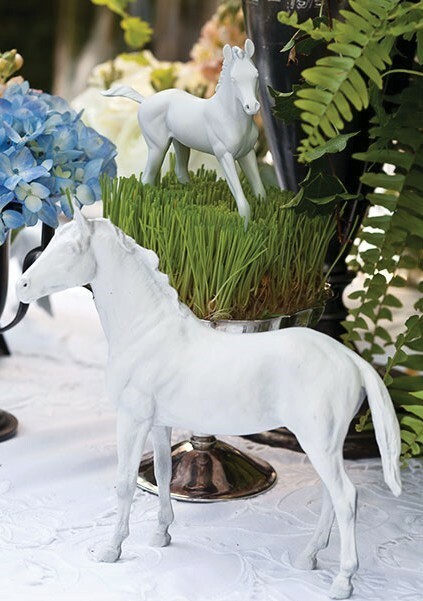 You could even ramp it up a bit by offering a horseshoe pin to your guests upon arrival. Red roses are popular when decorating your home. The more equestrian, the better! 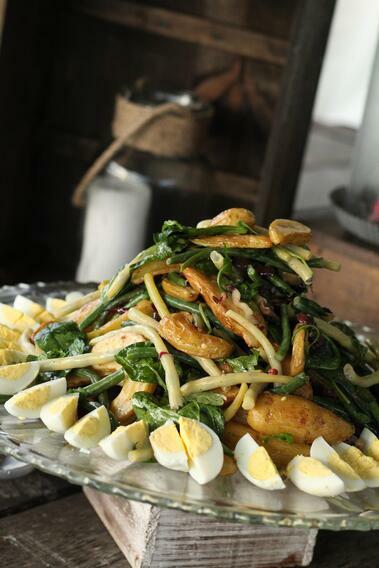 Bring the South to your home by offering some traditional Derby Favorites. Think Ham Biscuits, Kentucky Hot Browns, Deviled Eggs Tea Sandwiches and Burbon Balls. 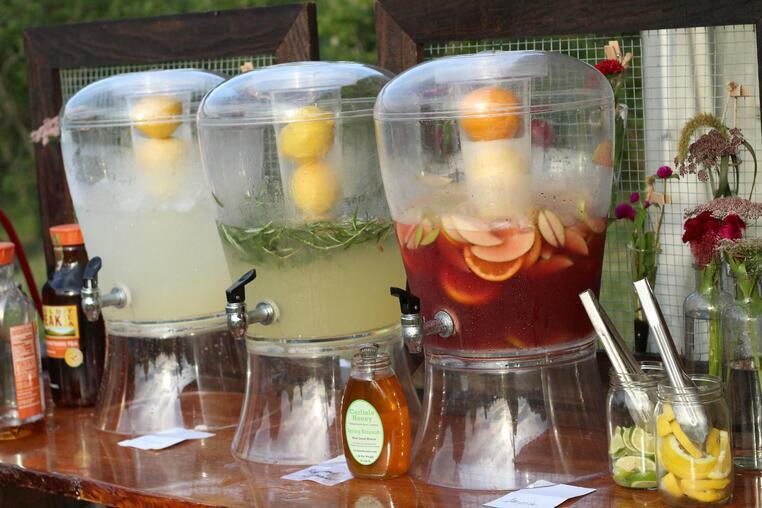 Go like-the-pros in Special Event Catering and offer a signature cocktail or two. 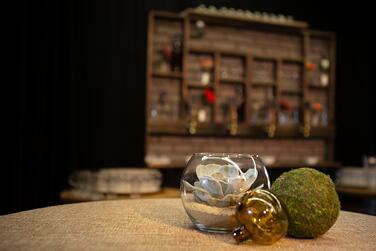 This will help simplify your menu and ease the amount of items at your bar. Try Mint Juleps, Bloody Mary's and Mimosas! 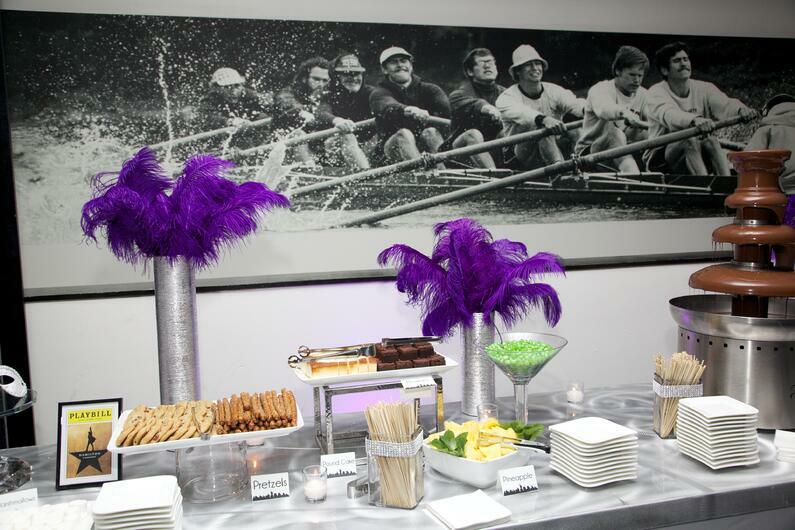 And finally, Be sure to have the race on television, or go softer and throw on some Southern Jazz Music. Entertainment is a very important piece to an event! To wrap things up, be sure to design your menu and evening so you aren’t spending the whole time in the kitchen heating things up. Most people plan terrific parties, but don’t spend time with their guests because of this. So develop a good plan, a great menu and be sure to HAVE FUN!! 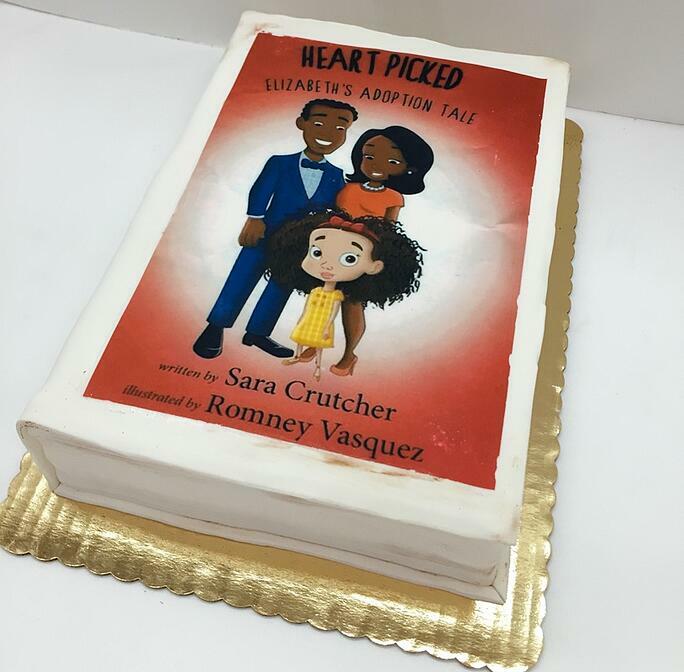 We had the pleasure of helping Sarah Crutcher, a young and talented author, host a book signing for the unveiling of her children's book about adoption called, Heart Picked: Elizabeth's Adoption Tale. The tile of the book served as all the inspiration we needed to delight the guests throughout all the details of the party. 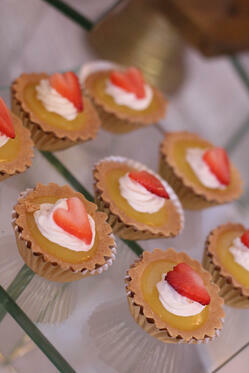 Hors-d'oeuvres and pastries - All were heart-shaped. 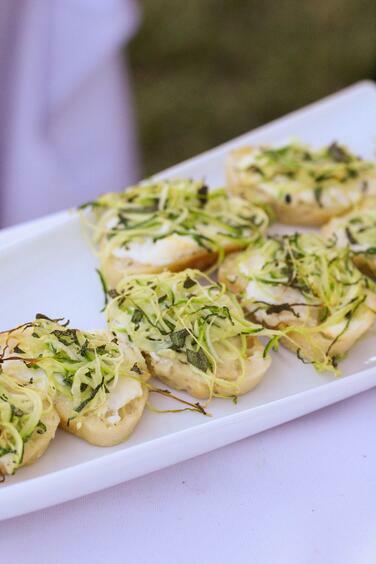 From canapés to macaroons, our chefs were able to truly capture the magic of this touching story with these delicious bites. Even the displays, all of varying heights, were made using covered books to match the theme and colors of the party.There's no more fitting way to celebrate a book than to recreate it's cover on the cake, which took center stage on the table where Sarah autographed books for her guests. Our host was thrilled we were able to capture her vision and execute it with all the finishing touches that make each of our events special. 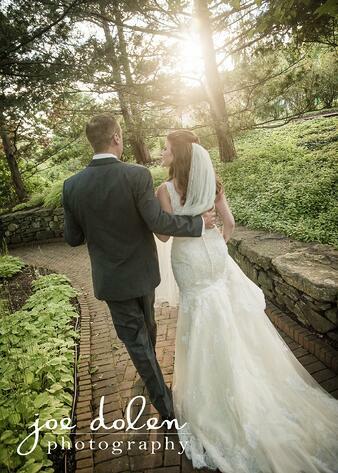 She asked for an elegant book signing for a small group and we delivered in big way! We wish Sarah tremendous success in 2016! 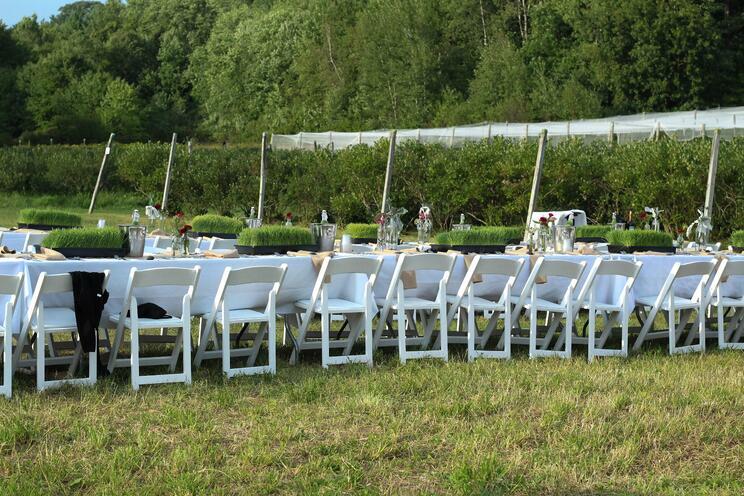 Looking for creative and colorful New England summer wedding ideas? 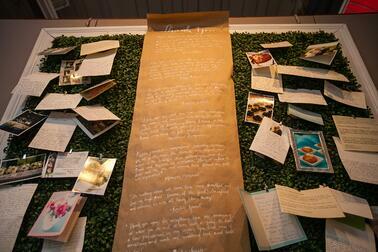 Here’s how a recent bride collaborated with Peppers to make her special day memorable. 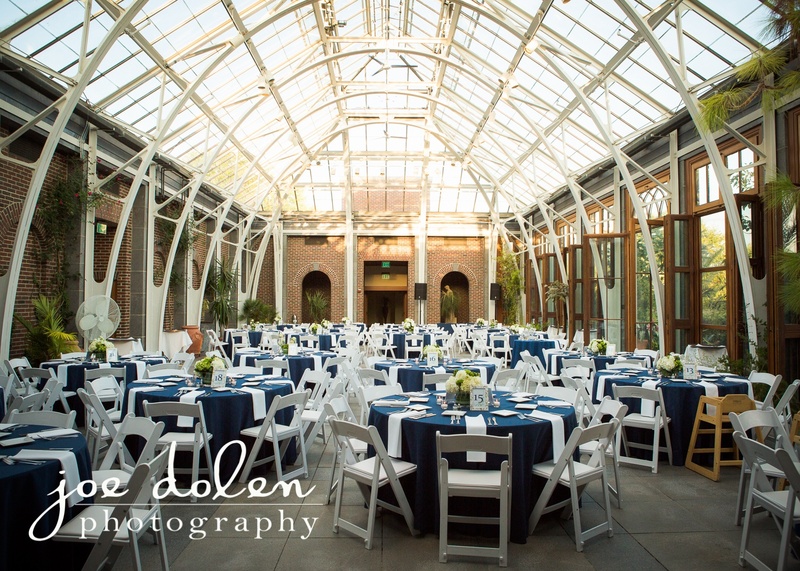 Crisp navy linens and white chairs created a classic but casual look. 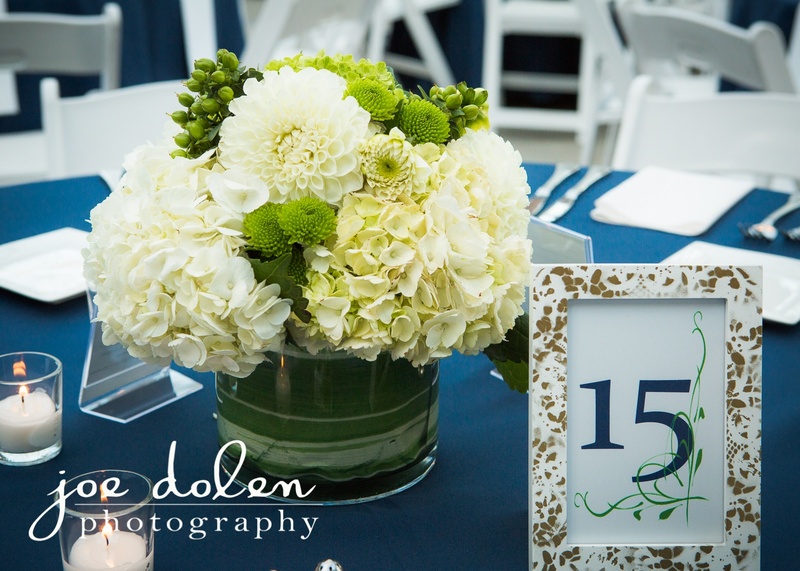 To jazz up the color scheme we added pops of chartreuse in various display linens and in the gorgeous floral table centerpieces that Peppers designed. The visual appeal was refined, yet relaxed. 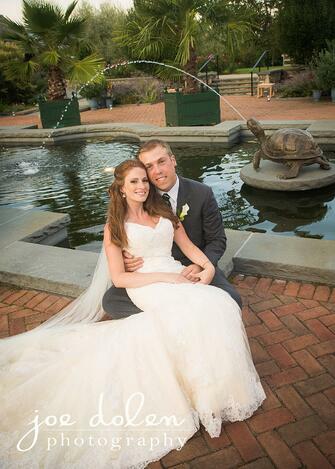 An oyster bar was an important stationary hors d’oeuvres menu item for this couple. Instead of a basic table set up, we used a moving cart with striped awning and attached chalkboard signage to create their “AW SHUCKS” seafood display with a touch of nautical detail. Talk about the wow factor! 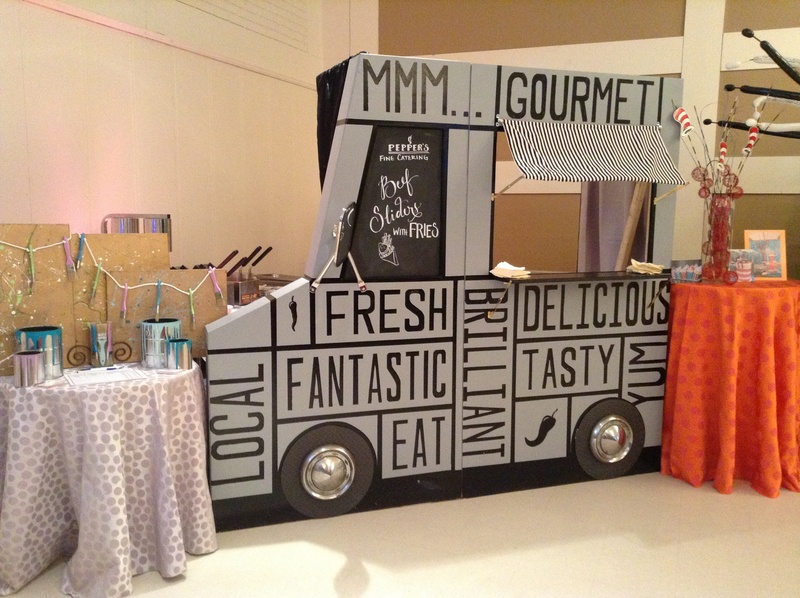 We custom built the cart and yes its available for rent! And her wedding cake was an understated design with a bit of a twist – literally. We turned the square tiers on an angle to give it some sass and tied in navy blue and chartreuse with a ribbon on each tier and floral garnishes. 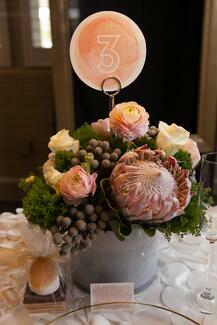 Each design element complemented the others to bring the Brides wedding vision to life. 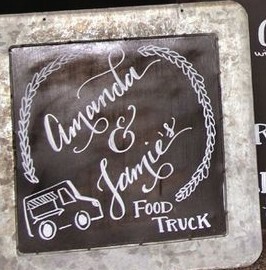 This was an elegant and fun reception that truly reflected the couples’ personalities. 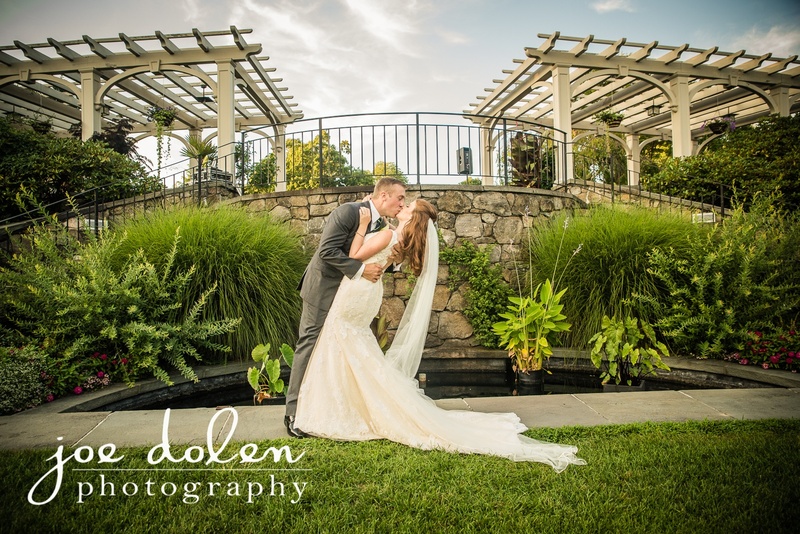 We couldn't help but share some more amazing images of their day!